is the author’s fourth full-colour book in the cadre of “eventually growing category of a ‘Hindu Dharma Encyclopaedia’” cited by Dr. Hasu Yajnik in his Foreword to Hindu Festivals (origin, sentiments & rituals), the author’s previous book (2005). The first was Vachanamrut Handbook and the second, Rishis, Mystics & Heroes of India (Vol. I). This book break’s the record with an astonishing number of 781 superb colour photographs, 90 paintings and 27 maps. 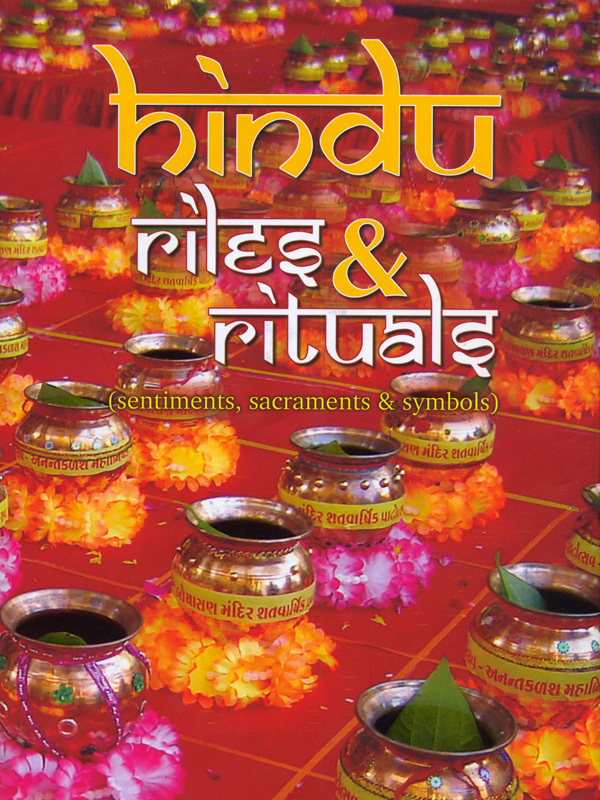 These enable the reader to experience the depth and understanding of how Hindus live and have adjusted to migration, changing cultural trends and cope with daily stress by their rites, daily rituals and festivals. The effort and care to include the minutest details and references from the ancient Sanskrit shãstras is commendable. There’s something here for every reader; all young Hindus who have been pestering parent’s about the ‘why’, their parents who sorely wished they had the right answers, as well as for teachers, admirers and academics. A book worthy as a birthday gift and for young Hindus about to get married. The brief explanation of the vivãh rites with photographs will make the ceremony all the more meaningful and increase its sanctity in the hearts of the Hindu couple. A must read prior to marriage.